SVB’s Wine Division hosted a live videocast on May 16 to discuss trends in direct-to-consumer wine sales based on findings from a survey of more than 800 respondents. Led by Wine Division Founder Rob McMillan, the panel discussion featured industry experts Amy Hoopes, president of Wente Family Estates, Paul Mabray, wine industry digital futurist and director at Getemetry.com, and Cyril Penn, editor in chief of Wine Business Monthly. Watch the full replay of the videocast and a second videocast that we recorded to answer participants’ questions, Your Questions Answered. Wine Business Monthly, Wente Family Estates and Getemetry.com are independent third parties and are not affiliated with SVB Financial Group. Silicon Valley Bank is not selling or distributing wine or wine-related products. Through the online informational platform, SVB Cellar Selections, Silicon Valley Bank provides material to clients, employees and other parties’ employees about a variety of premium Silicon Valley Bank winery clients and their wines. These communications are for informational purposes only. Silicon Valley Bank is not responsible for (or a participant in) the sales of any wineries’ products in any fashion or manner and makes no representations that any promotion or sales of alcoholic beverages will or will not be conducted in a lawful manner. 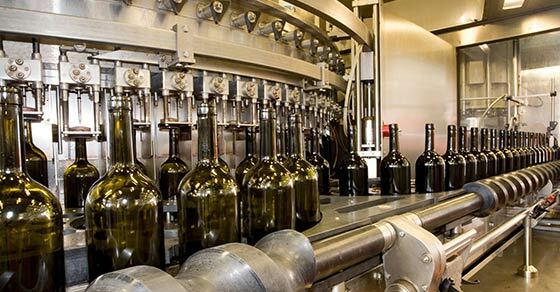 Further, Silicon Valley Bank disclaims any responsibility or warranty for any products sold by wineries or other wine industry service providers.